It is no secret that many Westchester computer repair jobs can be expensive. Depending on who you hire, and what the problem is, the cost for parts and labor to get your machine back up and running can be nearly as much as the price of a brand new computer. There is some good news though: there are ways that consumers can save money when they need to have their machines fixed. Let’s look at a few of these. This may sound like a no-brainer, but you might be surprised at how many people take their machines to non-trained, non-licensed companies and individuals. This will almost always cost the consumer more in both cash and time as often the wrong parts are used or inferior work is performed. Always check to see that the service technicians are certified. One of the best ways to save money, and sometimes a lot of money, is to bring your computer to the shop yourself rather than having the company come and get it or service it at your site. It is always a good idea to ask if you can get a discount by bringing it in yourself as not all companies will offer this type of discount. A visit to those companies that you are interested in will show you if they honor this discount. Some companies will offer their customers valuable coupons on a variety of services and even on Westchester computer repairs. Most of these coupon offers can be found on the company site. If you do not see any on the vendor’s site, call and ask they may have not posted them online, but do have them nonetheless. Also, some companies now have apps that you can download that will deliver news and discount information right to your mobile device. Some of the better companies will diagnose your computer for free as long as you bring to them. If a problem is found, the company will then inform you of what it is, what it will take to fix it, and how much it will cost. You can then decide if you want the service or not. Keep in mind, this free diagnosis usually only applies if you bring the system to the company repair location. These are just a few of the ways that you can save money when you need to get your system fixed. 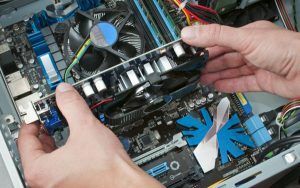 By using these tips, you will be able to keep some money in your pocket while getting your Westchester computer repaired by a reliable vendor. The simple truth is that you do not have to pay more than you should if you know a few tips to save money. In some cases, you can save significant amounts of money when you choose the right repair company. A few moments of researching for the best Westchester computer repair is all it takes to keep your hard earned cash in your pocket.